Blog – Page 2 – YHA Kenya Travel Tours And Safaris. 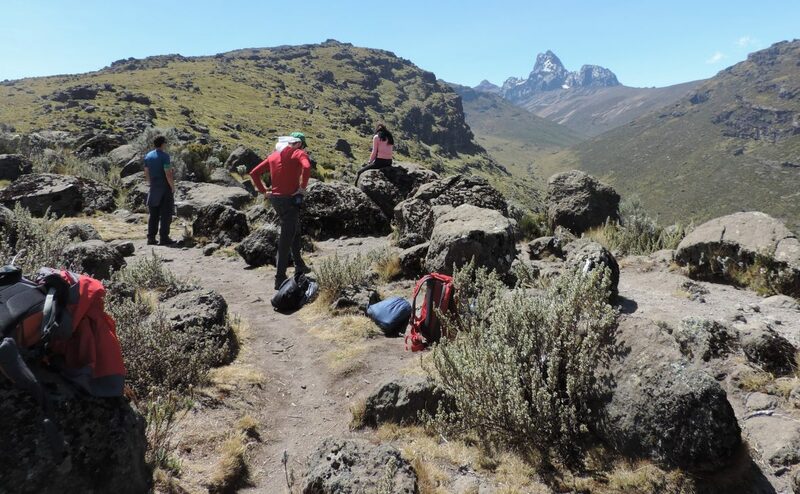 Affordable Mount Kenya Climbing, Trekking, Hiking Tours Guided by YHA Kenya Travel Experts in Mountain Adventures, Mountaineering Expeditions, Trips. When summer is here it’s time to plan an adventure holiday! Maybe an escape to the beautiful places in Kenya like Mount Kenya, Masai Mara, and the Great Rift Valley or even to the beautiful Kenya beaches? Whatever your desired destination, our expert team of tour advisors would love to book it for you! 4 Days Direct Safari to Mount Kenya climbing Sirimon Route Budget Adventure. Enjoy our unique and unforgettable climbing Mount Kenya adventure budget Safari Experience. We love receiving ‘Likes’ and Feedback on our Facebook page. Take a look and tell us what you think! Adventure Wildlife Safaris in Kenya – Kenya Safaris. Planning an adventure holiday trip to Kenya? Let Kenya be your dream destination this summer holiday. Taking a “Hot air balloon safari” a must do activity it is a treat that many people hope to do. It’s a memorable Kenya Safari Adventure experience, although not ideal for game viewing or wildlife photography. The hot air balloons are launched at dawn. After a noisy and spectacular inflation process. Carry a dozen or more passengers. For about an hour. In the southern direction across the reserve at the height of a few meters. To several hundred meters above the Masai Mara plains. Kenya offers a wide choice of reliably excellent walking safaris. Leisurely strolls or more challenging treks in Kenya.Rediscover the spirit of adventure as you explore the magnificent Masai Mara and Laikipia Plateau on foot. Summer Holidays in Kenya Find best weekend Getaways to romantic Kenya Destinations.Special offers on our summer holiday adventures. Would you prefer to spend your Kenyan safari trip walking in areas that are not visited by mass tourists rather than being cooped up in a vehicle? Do you long for genuine one-on-one contact with competent and experienced Maasai guides who would take your adventure safari experience beyond the “Big Five”? If your answer is yes, then this adventure safari activity is just for you! Adventure Amboseli as you get to see the panoramic views of Mount Kilimanjaro with it’s snow-capped and the great wildlife.This is a fantastic Kenya Safaris family adventure break for 3 days and you will come out refreshed and charged.Best things to do in Kenya, must-see attractions, must do an activity, we have best places to see in Kenya this weekend, this holiday, today and budget adventure activities in Kenya. The 3 Days Camping Kenya Safari Package! Get to see great Kenya attractions especially the Sunrise and Sunset views gorgeous views on top of Mount Kenya all breathtaking feel like you are on top of the world. Our mountain adventure tours are yet another breakaway package to do while in Kenya and mostly for mountain lovers and high altitude climbers nothing beats this budget adventure trekking do it on a really good budget and a good value for money you will feel every coin spent was well worth the experiences very good for school parties, Independent travel, families, and all Nature lovers. Create memories of a lifetime in one of the most beautiful and popular Kenya’s Park. The Amboseli National Park Relax and enjoy the great scenic views of Mt Kilimanjaro peak, The best sport in Kenya to watch Elephants and other game with the backdrop of Africa’s highest mountain, Mount Kilimanjaro. It’s at this time you are likely to see all of the Big 5 game animals are the Buffalo, Elephant, Lion, Rhino & Leopard. Be where the action is! The world-famous wildlife movement popularly referred to as the Wildebeests Migration from The Serengeti in Tanzania to Masai Mara Kenya. Every year July to October. A memorable moment as you travel and adventure in Masai Mara. Camping out in the studded bushes of Mara.As laze around, enjoy good food and do nothing but have fun at the camp with barbecued goat meat in the gardens it’s the perfect retreat for the entire family or group! Mt Kenya Trekking, Hiking Mount Kenya, Adventure Safari Tours Best Budget Packages! 6 Days 5 Nights Kenya Budget Safaris Masai Mara-Nakuru-Amboseli. YHA Kenya Travel, Kenya Wildebeest Migration Safari Packages, Kenya Migration Budget Safari Packages, Annual Animal Migration In Kenya. 3 Days 2 Nights Kenya Wildebeest Migration Budget Safaris Masai Mara. 4 Days 3 Nights Kenya Wildebeest Migration Budget Safaris Masai Mara. 4 Days 3 Nights Kenya Wildebeest Migration Budget Safaris Masai Mara and Nakuru Kenya Budget Safari. 5 Days 4 Nights Kenya Wildebeest Migration Budget Safaris Masai Mara and Nakuru. 5 Days Masai Mara -Lake Nakuru- Lake Naivasha Kenya Wildebeest Migration Budget Safaris. YHA Kenya Travel, Kenya Wildebeest Migration Adventure Safaris, Budget Holidays, Kenya Safari Tours, Annual Animal Migration In Kenya. 2 Days 1 Night Masai Mara Kenya Wildebeest Migration Adventure Safaris. 3 Days 2 Nights Masai Mara Kenya Wildebeest Migration Adventure Safaris. 4 Days 3 Nights Kenya Wildebeest Migration Adventure Safaris Maasai Mara. 3 Days 2 Nights Amboseli Kenya Wildebeest Migration Adventure Safaris. 3 Days 2 Nights Samburu Kenya Wildebeest Migration Adventure Safaris. 3 Nights 4 Days Samburu Game Lodge Kenya Wildebeest Migration Adventure Safaris. 4 Days 3 Nights Masai Mara/Nakuru Kenya Wildebeest Migration Adventure Safaris. 5 Days 4 Nights Masai Mara / Nakuru Kenya Wildebeest Migration Adventure Safaris. The Great Kenya Wildebeests Migration Safari Now ongoing, Book Now! Capture incredible photos in close-ups of the planet’s greatest migration as thousands of wildebeest and zebra traverse the Maasai Mara with predators in pursuit. This migration is world top wonder for any traveler to witness and no adventure activity on earth can match this experience. YHA Kenya Travel, Kenya Adventure Safaris. Types of Kenya Adventure Budget Camping Safaris Activities. YHA Kenya Travel Google Business, Luxury Safaris in Private Bush Homes, Home-stay Safaris, Honeymoon Safari, Kenya Cultural Safaris, Kenya Bird Watching Safaris, Kenya Adventure Safaris, Mt. Kilimanjaro Climbing Safaris, Walking Safari,Mount Kenya Trip Planning, Mt. Kenya Climbing, Beach Combined Holiday Vacations, Kenya Budget Adventure Short Safaris, Kenya Joining Safari, Budget Camping Safaris, Family Safaris, Kenya Budget SafarisYHA Kenya Travel Tours & Safaris Kenya Adventure Budget Safaris, Budget Lodge Safari, Wildebeest Migration Safari, Trekking Safari,Adventure Safari, Hot Air Balloon Safari, Private Lodge Safari, YHA-Kenya Travel Kenya Budget Holidays, Kenya Day Trips, Flying Safari, Kenya Budget Adventure Safaris, Cheap Safaris in Kenya, Kenya Budget Tours, Kenya & Tanzania Combined Budget Tours, Game Viewing Safari, Kenya Luxury Camps, Kenya Budget Tented Camps, Kenya Budget Lodges, Tanzania Budget Adventure Safaris, Kenya Luxury Lodges, Tanzania Lodge Safari, Kenya budget safari holidays, Cheap Safari, Kenya family safari packages, Kenya Adventure Budget Camping Safari Packages,Small Group Safaris, Budget Small Group Safaris, Group Adventure Safaris, Travel News PROLOG, Great Kenya Migration Safari Masai Mara Safari. YHA-Kenya Travel Tours & Safaris -Welcomes you to East Africa land of Immense Adventures, Rich Wonderful Wildlife, Diverse Culture, Natural Beauty, Majestic Mountains & Breath Taking Blue Skies! YHA-Kenya Travel Tours & Safaris, offers the best deals on hot air balloon safaris package over the Masai Mara plains and forests, Masai Mara balloon safari experience with YHA-Kenya Travel , View Masai Mara on A balloon flight safari from the sky,hot air ballooning,balloon safaris,adventure in Kenya,hot air ballooning safari,balloon safari,Masai Mara balloon safari,Maasai Mara Safaris,Kenya balloon safaris, hot air ballooning in Masai Mara, Kenya budget safaris, the Masai Mara national reserve, reviews, more safari options. YHA-Kenya Travel Book TV, Pick My YHA-Kenya Travel Guide!